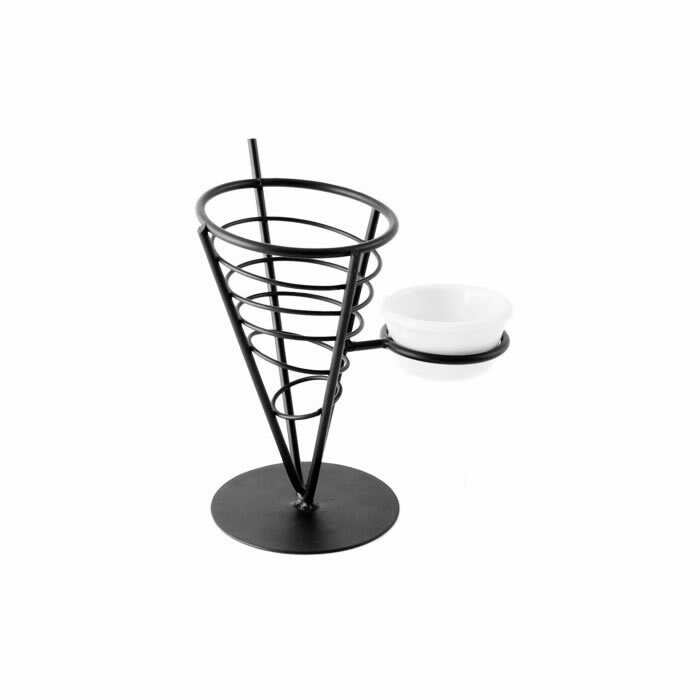 Chip Cone Wrought Iron 5 x 9" Chip Cone Wrought Iron w/2 Ramekins 5 x 9"
The Appetizer Cone 5×9″ is made from mild powder coated steel in black. It has a ramekin holder on the side for a 3oz ramekin, sold separately. 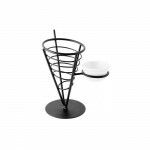 Great for serving chips and snacks, just line the cone with greaseproof paper. Sold singly.